A New Year is around the corner, and adding this into your routine can make a positive difference. Your Synergy Infrared Body Detox produces results at lower temperatures than a regular sauna, this makes it easier for people who can’t tolerate the heat of a conventional sauna. 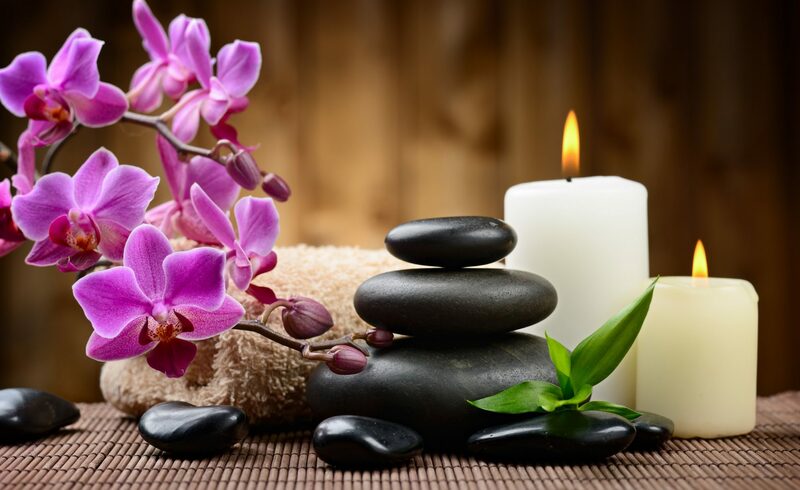 You simply lay down and relax, you can have an optional Oxygen Infusion Facial as you relax, or an Aroma Infused Oxygen Bar session to add to your experience. This can also make a nice gift to give someone you love. Promotes the body’s natural ability to fight infections, bacteria and viruses. Aids in opening up the nasal passages. Helps to clear skin of impurities and may help with acne or blemishes. Promotes healing and skin regeneration. Can relieve chronic fatigue for many. Pain relief to those with back issues, arthritis, sore muscles and joints. May help to reduce the appearance of cellulite. Over 400 chemicals have been identified in human tissue. Environmental toxins are suspected of playing a role in a number of diseases, including cancer, arthritis, weakened immune system, autism, fibromyalgia, cardiovascular diseases, Alzheimer’s disease and more. If anyone is interested in a customized package, you can call or text 754.444.9719 anytime. We come to your home or office by appointment, perfect for busy professionals, stay at home mom’s, seniors, or anyone who likes convenience. Oxygen is essential to the health and maintenance of your cells. Oxygen stimulates the body’s natural healing function. It’s anti-inflammatory stimulates collagen production. The oxygen that’s applied to your face and neck is infused with vitamins, minerals, essential nutrients, and botanical extracts. This also feels really good too! Your Synergy Oxygen Infusion experience boosts the detoxification process of your skin, and helps in the repair and regeneration of the skin cells, it removes impurities from the top layer of the skin called the epidermis, it opens up clogged pores, it brings out that natural glow. The Synergy Oxygen Infusion facial deeply moisturizes your skin, restoring its pH balance and shielding it from sun damage. You do not need to have a rock star wallet to afford one! Right now with any 2 sessions, you get the third one half off. These also can make perfect gifts for anyone. This month only, you can get an free 15 minute Oxygen Aromatherapy session on us with your choice of awesome aroma’s anything from the Sweet Cotton Candy to Lemongrass. Call or text us anytime, at your service 7 days a week by appointment 754.444.9719 Happy Holidays from Team Synergy! To use this special please use code HOLIDAY12, make mention when you call or text us. You asked for it! Now here is the deal. You hosted your Interactive Spa party, had a good time, and now you want to keep up with continuing your progress without hosting again. Here is a chance to use our tightening/toning and lifting technology again in the comforts of your own home! You can switch it up month to month. This deal can be used for anyone, even if you never hosted an event and just want to have a more private experience. The savings is awesome! This will only last till X-mas. You can give this as a gift for that special someone, or use it for yourself. We can send you your gift card code via email or text, all you do is give us that code and and you or your gift recipient can set up the first appointment for the new year! Includes 2 sessions up to two hours long working time each month on any of our devices. Typically working time runs $85-125.00 an hour. YOUR VIP COST is only $1,500 for the year! If you refer a friend, you will get FREE FIR BODY DETOX or RED LIGHT THERAPY along with your session! Text or Call 754.444.9719 for this offer! Happy Holidays from your friends at Synergy! We take PayPal, get 6 months to pay NO interest offer. This is a $4,080 value before the free Red Light or Body Detox when you refer a friend. Why host your own Synergy Skin and Body Bar? We bring you all devices you chose. You can create your own Synergy Skin and Body Bar based on what you want to order. One visit to the spa can lead to expensive packages and high pressure sales tactics. We create an Interactive and hands on experience. Benefit from using multiple device options- you pay for working time. Personalized Device Consultation & Demonstration. PayPal credit – up to 6 months with NO interest. It is never the plan to gain over the holiday season, however many men and woman do just that, try 7 to 10 pounds between Thanksgiving and Christmas is not uncommon. People often have food in abundance during times of gathering. Calories can be doubled or tripled over these celebrations. You can also plan ahead, set up your Synergy Skin and Body Bar event date today and take advantage of your own private follow up sessions for maintenance with any of our equipment to tighten & tone. V-Nine, this combines regulated suction and two rollers to symmetrically, and rhythmically, fold and unfold the skin. As the deepest layer of fat becomes less adhesive, less glutinous, blood flow increases, thereby allowing the metabolic byproducts to pass through the body, it stimulates the cells that boost collagen and elastin, production to help tone the skin. This nonsurgical solution for “bat wings” or the upper arm area to contour and tone skin. It also works well for fat deposits and cellulite on the thighs, buttocks, tummy, love handles, and muffin tops. 40k Cavitation, this function sends shock waves that penetrate into the skin, breaking up fat cells and allowing them to disperse. *Radio Frequency Vacuum & Bipolar Function: For body and face reshaping along with weight loss, this function will promote tissue metabolism and repel cellulite. Body RF Function: This function will dissolve fat, expedite lymphatic drainage, and firm the skin and enhance skin elasticity. Body/face RF Function: Helps eliminate facial wrinkles and enhances tightening and lifting of the skin. Can be used on smaller body parts such as the arms. Tri-polar Radio Frequency: allows high-frequency currents of more than 10,000 times a second to help eliminate wrinkles and tighten loose skin. Laser Lipo, low levels of laser energy, which creates a chemical signal in the fat cells, breaking down the stored triglycerides into free fatty acids and glycerol and releasing them though channels in the cell membranes. The fatty acids and glycerol are then transported around the body to the tissues that will use them during metabolism to create energy.